Took a break mid-morning at Eastern Neck National Wildlife Refuge ( Rock Hall, Maryland). May 2014. The Ranger’s house was smack in the middle of their best butterfly habitat. After so much looking down and looking straight ahead, this tree drew my attention, and I look up. What did I see? This American Holly tree ( Ilex opaca ) had dozens of butterflies flying around it. The Red-spotted purples were numerous among them. Problem was that I don’t bring binoculars with me, so I couldn’t ID the dozens and dozens of smaller butterflies that were up there. This is a 60′ tall tree, so the species zipping about were left to my imagination. Bees and flies were uncountable, and wasps and other predators flew about, on their hunt for prey. I have seen heavy action around Paw paw trees, and several trees further South, but I don’t remember ever seeing a tree that was so supportive of butterflies, as this one was. The field guides all cite this tree as equally valuable in the late Fall and Winter, its berries placing it among the Best Trees to Attract Birds (Stokes Bird Gardening Book, Little, Brown and Company). 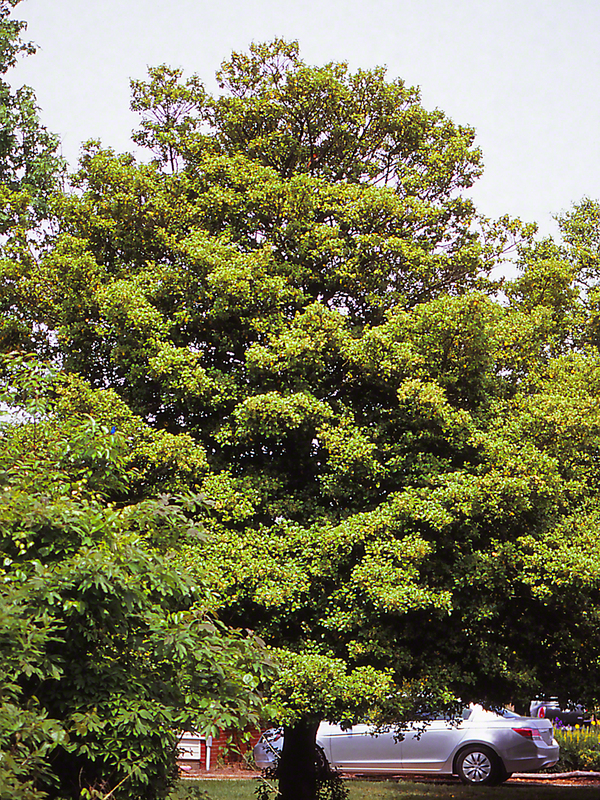 A native tree that supports wildlife of dozens and dozens of species. Nice. Didn’t need to bring it here. It was always here.